Florence is a friendly small town of about 9,000 at the confluence of the Siuslaw River and the Pacific Ocean. Florence frequently appears in national "best places to retire" lists for its mild climate, active and affordable lifestyle, access to quality traditional and alternative healthcare, abundant civic organizations and volunteer opportunities, a quaint-but-never-commercial Old Town district, diversity of quality restaurants, pioneer and military history museums, a thriving arts community, low crime, and responsive city government. Voters in a national USA Today poll selected Florence as the country’s second-best small town for adventure and voted it number two of the Best Small Towns in the Northwest. 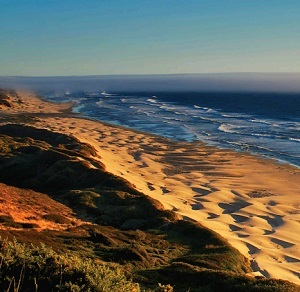 Florence has also recently been named The Oregonian/OregonLive.com readers’ “Favorite Coastal Getaway,” Expedia.com’s “Most Beautiful Town,” and one of Flights.com’s “8 Coolest Places You Must Experience.” Two local destinations, the Oregon Dunes Recreation Area and Sea Lion Caves, made the Oregonian’s “Top 20 Oregon Landmarks. If for some reason you can't find what you need in Florence (you most likely will), it is only a 70-minute scenic drive west of Eugene, Oregon. Florence bills itself as Oregon's Coastal Playground for its easy access to uncrowded beaches, forests, lakes, streams, waterfalls, wildlife, world-class golf, lighthouses, and the Oregon Dunes National Recreation Area. Adrenaline junkies flock to Florence for some of the nation's best sand dunes for buggy rides, sand boarding, hiking, and fat-tire biking. There is also kiteboarding and windsurfing on the Siuslaw River and the ocean. Need less of a thrill? The river and beaches offer abundant fishing, crabbing, and clamming; plus there is hiking and camping, birding, and foraging in pristine ancient forests. There are lots of indoor adventures too including our growing culinary and arts communities and casino gaming. 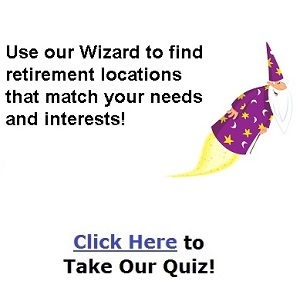 There are a top-notch library and community college for lifelong learners. Throughout the year, Florence attracts world-class performing arts to its amazing 21,000 square-foot events center. Touring acts that fill major venues around the world stop in to Florence. There is also a surprisingly good (and welcoming) local performing arts community for adults and children. There is an "art house" theater that shows all the newest releases and hosts cultural events around foreign films, and lectures and concerts by satellite. Public transportation includes a bus loop that encircles major shopping and attractions on an hourly basis and links with public services that run the full length of the Oregon Coast and into the Willamette Valley. Peace Health/Peace Harbor Hospital, plus multiple dentists, denturists, chiropractors, acupuncturists, naturopaths, and physical and massage therapists. VA healthcare is within a 90-minute drive. Jan 36.5 F° 43.6 F° 50.7 F° 10.8 "
Feb 38.2 F° 45.9 F° 53.6 F° 9.3 "
Mar 38.6 F° 47.3 F° 56.0 F° 9.0 "
Apr 40.5 F° 49.9 F° 59.2 F° 5.2 "
May 43.9 F° 53.5 F° 63.2 F° 3.8 "
Jun 47.5 F° 57.0 F° 66.6 F° 2.5 "
Jul 49.9 F° 59.6 F° 69.4 F° 0.9 "
Aug 50.7 F° 60.4 F° 70.0 F° 1.1 "
Sep 48.9 F° 59.5 F° 70.1 F° 2.3 "
Oct 44.6 F° 54.0 F° 63.4 F° 5.3 "
Nov 40.6 F° 47.5 F° 54.5 F° 10.8 "
Dec 36.7 F° 43.5 F° 50.4 F° 12.0 "
Florence's climate is best described as mild--all year. We don't see the extremes like the rest of the state. It doesn't rain nearly as much as people think it does, and most of it falls between November and March. The locals all know that the weather is always better in town than the forecasters in the big cities say it will be. Average low temps are in the 40s to mid-50s, and average highs are in the low 50s to upper-60s...but rare extremes have included an inch or two of snow on the beach, and a couple of scorchers in the 80s. Condos Over 50 Communities Whatever your housing need is, Florence has it; and the city, county, and state are working to increase affordable housing. Home care Senior center Visiting nurses There is a great diversity of senior services available in Florence. After all, the average age is around 57 years old, and Florence is a compassionate and friendly community that looks out for each other. A majority of the local bus and taxi company's work is getting seniors to appointments, but in-home assisted living is readily available. Florence has a dynamic volunteer community and opportunities abound in tourism, hospitality, the arts, education, healthcare, and with our numerous civic clubs and community-care non-profits. The employment rate mirrors that of the nation. Many jobs are available in tourism and hospitality industries, healthcare, retail, and casino gaming.